(18/P055) TRENTON – The Department of Environmental Protection is advising recreational users of northern Barnegat Bay to exercise caution following confirmation of the presence of clinging jellyfish, a non-native species with a powerful sting, in this estuary that is popular for boating, fishing, swimming, crabbing and other recreational activities. 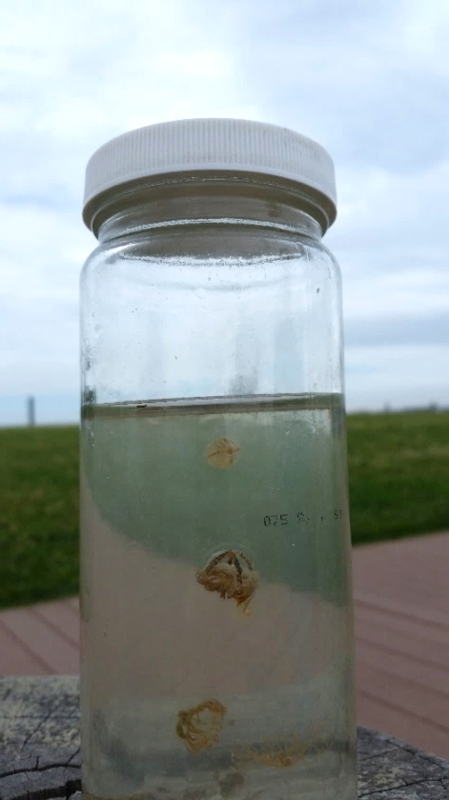 The DEP and Montclair State University this week performed additional surveys in the northern bay and Metedeconk River after clinging jellyfish were confirmed in the river earlier this month. The Metedeconk flows into the northern bay. 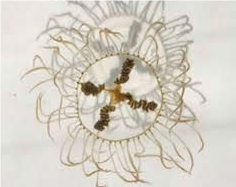 In addition to advisories for northern Barnegat Bay and the Metedeconk River, the DEP reminds recreational users of the Shrewsbury and Manasquan rivers – Monmouth County waterways where the clinging jellyfish had been confirmed in recent years – to also be alert to its possible presence. For a map of locations where clinging jellyfish have been confirmed and sites that have been investigated but no clinging jellyfish were found, click here. The DEP and Montclair will be conducting additional monitoring in Barnegat Bay and the Metedeconk. There is no method to effectively control clinging jellyfish populations in the aquatic environment. The recent findings include locations in the bay off F Cove in Brick, and along Wardells Neck along the Metedeconk River, also in Brick. The clinging jellyfish, a native to the Pacific Ocean, is small and very difficult to spot in the water. A sting can produce severe pain and other localized symptoms and can result in hospitalization in some individuals. The DEP encourages the public to use common sense and caution in areas where the jellyfish are suspected. Anyone wading through these areas, especially near aquatic vegetation, should take precautions, such as wearing boots or waders to protect themselves. Swimming at lifeguarded beaches is always encouraged. The clinging jellyfish was first confirmed in New Jersey in 2016 in the Manasquan River at the Point Pleasant Canal. The DEP has been working with Montclair in studying the possible distribution of clinging jellyfish in New Jersey. Sea nettles, another type of jellyfish with a less powerful sting, are common in Barnegat Bay but are much larger. They prey on clinging jellyfish. The clinging jellyfish ranges from the size of a dime to about the size of a quarter. It has a distinctive red, orange or violet cross across its middle. If you see a clinging jellyfish, do not try to capture it. Take a photograph if possible and send it to Dr. Paul Bologna at bolognap@mail.montclair.edu or Joseph Bilinski at joseph.bilinski@dep.nj.gov along with location information.